It occured to this blog's editor that while music formats have been a major part of the radio landscape for decades, they certainly haven't had exclusive use of the airwaves. With that in mind, we present this unscoped multi-part aircheck of WKBN/570 in Youngstown from Black Friday 1999. (Given that the big shopping day is just around the corner, this entry is rather appropriate.) In this recording, longtime midday talk show host Dan Ryan discusses George W. Bush the presidential candidate and corrects a confused caller questioning the ethics of a certain member of the Valley's business community. During commercial breaks, afternoon host Ron Verb is also heard on location at a local restaurant. Then, as now, WKBN was the juggernaut in local news/talk, having taken the crown from crosstown rival WBBW/1240 several years earlier. Ryan was a big reason for the change, having departed his longtime radio home WBBW for WKBN in 1984. He is often credited with establishing talk radio in Youngstown with his "Open Mic" program in the 1960's. Critics had expressed doubts that such a program would have an audience in a market like Y-town, but Ryan, along with other pioneers of the format, proved them wrong. Ryan passed away in 2003. Previous entries on NEO Airchecks have focused on the period often thought of as Top 40 radio's golden era, the 1960's and 70's. This time around, we fast forward to the Reagan era with a submission from Bob Papa. Featured below is Nancy Alden on WKDD/96.5 in Akron, long before the station moved to its current dial position of 98.1. Nancy spins the hits while sitting in for Tom Sullivan. According to Nancy's blog, she started at WKDD when it was known as "Mellow Rock 96". She hosted evenings until 1986 before a brief gig at WNCX/98.5 in Cleveland. 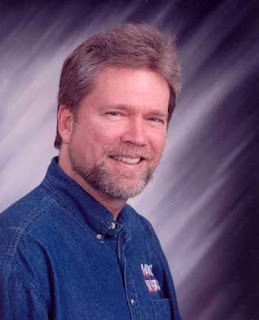 Alden has been at WDOK/102.1 in Cleveland since 1987. For our second item, Bob Papa brings us an aircheck of WONE/97.5 from 1985. Here, Mike Michelli and Rose Gabriel yuck it up during a less-than-perfect, but entertaining afternoon newscast. This broadcast occured less then a year after WONE launched its classic rock format, which succeeded a long-running beautiful music format on the station that had been known as WAEZ. As part of this year's 25th anniversary of WONE, Michelli explained the entire story of how he wound up in the Rubber City. A portion of Tim Daugherty's interview with Machelli can be heard here. At last check, Michelli was handling morning duties at WRKR/107.7 in Kalamazoo, Michigan. Rose Gabriel has long since left broadcasting to become a doctor. For our third and final installment of this week's entry, we move forward to 1995. At this time, John Schoger can be heard jocking on WZOO/102.5 in Ashtabula. This aircheck was made when founder John A. Bulmer still owned the outlet. Bulmer had built WZOO from the ground up in 1988. It took to the airwaves the following year. WZOO is one of several stations that's now part of Media One Group's Ashtabula cluster.